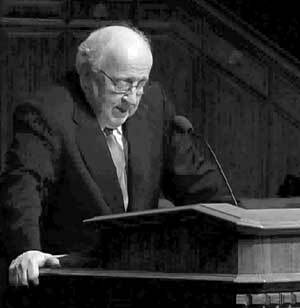 Robert Jenson observes in the preface to his Systematic Theology, Volume I that “to live as the church in a situation of a divided church–if this can happen at all–must at least mean that we confess we live in a radical self-contradiction and that by every churchly act we contradict that contradiction (vii).” Jenson notes that theology can only done in the “unitary church of the creed.” Theology is ecclesiology. Theology functions best in the context of ecclesial harmony. Anyone who reads as much as I do is probably familiar with the closing paragraph of the acknowledgment section of a book. It ends with the author making it clear that if there are faults in the book, they should be blamed on him and not anyone else. All of these folks were so helpful, and I was so diligent in taking full advantage of their wise counsel, that any remaining errors or infelicities must simply be chalked up either to the mysteries of divine predestination or–more likely–to the subtle but very real continuing marks of my own depravity. It has been almost 18 months since I posted the paragraph below. After looking through the list once again this morning, I am even more appalled than I was 18 months ago. By the way, #33 looks familiar. It is no exaggeration to state that the 50 most influential Christians in America according to the Church Report are some of the most dangerous to the church. Granted, there are a few exceptions like John Piper, (who probably would be furious to find his name among them) but the decay of the church is revealed when their leaders are shown to be notorious for unfaithful preaching.